Turquoise Hill Resources (TSE,NYSE:TRQ) on Tuesday released its operational overview and financial results for its Oyu Tolgoi copper-gold mine in Mongolia that came in above expectations despite showing production declines for both metals. The Vancouver-based company said Oyu Tolgoi’s second quarter concentrator throughput was in line with the first quarter at roughly 105,000 tonnes per day, but copper production declined 10.3% quarter on quarter reflecting lower grades relative lower recovery. As expected, gold production from open pit operations in Q2 declined approximately 52% compared to the first three months of the year due to lower grades. Oyu Tolgoi recorded revenue of just under $330 million during the quarter, a decline of 22% over the first primarily as a result of lower gold sales volumes that came in slightly above expectations. TheRio Tinto-controlled company generated operating cash flow before interest and taxes of $161.6 million during and income from continuing operations attributable to shareholders of $29.8 million. Margins at operating level remains juicy with second quarter cash costs of $1.12 per pound of copper and all-in sustaining costs of $1.55 per pound of copper although both figures are substantially higher than previous quarters. Sales contracts have been signed for essentially all of Oyu Tolgoi’s expected 2016 concentrate production according to the company statement. Oyu Tolgoi is expected to produce 175,000 to 195,000 tonnes of copper and 255,000 to 285,000 ounces of gold in concentrates for 2016 (the mine also produces small quantities of silver). During peak production 2025–2030 Oyu Tolgoi is expected to be among the top three copper mines in the world. The board of Rio Tinto, which owns just over half of Turquoise Hill, in May approved the $5.3 billion underground development and 2016 feasibility study for Oyu Tolgoi. First sustainable underground production is expected around 2021 and the project has a five to seven-year ramp up period. In June 2016, Oyu Tolgoi signed a critical contract with Jacobs Engineering Group to provide engineering, procurement and construction management services for the planned 95,000-tonne-per-day underground block-cave mine. Oyu Tolgoi underground phase is where the bulk of the resources lie – the feasibility study shows recoverable copper of 25 billion pounds, 12 million ounces of gold and 78 million ounces of silver over a mine life of 41 years. During peak production 2025–2030 Oyu Tolgoi is expected to be among the top three copper mines in the world. Turquoise Hill is worth $7 billion on the New York Stock Exchange and the stock is up 36% in 2016. Turquoise Hill owns 66% of the mine in the Gobi Desert 80km from the Chinese border and the Mongolian government the rest. 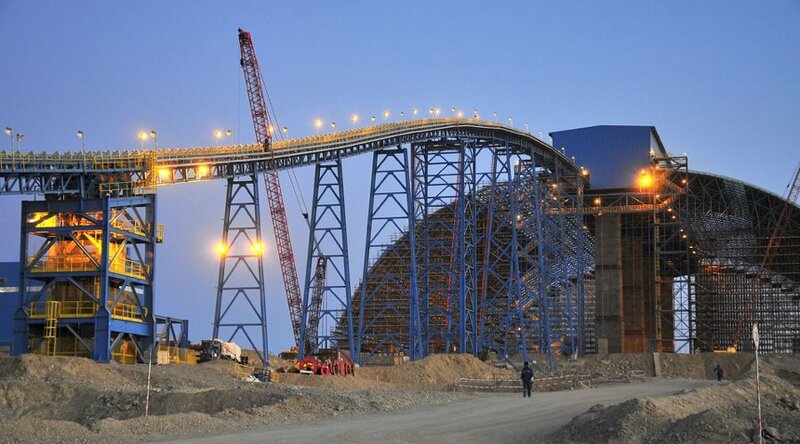 Oyu Tolgoi will represent 30% of Mongolia’s economy in full production.